I can’t make a “let there be light” joke because I think I’ve done that at least 3 times in the past two years, but our hallway lights are finally working! Hooray! I bought an Angie’s List deal and got an electrician for 4 hours for the price of 2. I had a long list of things for him to do and he did end up going over by 30 minutes but I am so glad it is all done! And so glad it was him and not me! First I had him fix the entryway/hall switches. My cousin had attempted to do that but the wires are old and he couldn’t quite get it, hence my calling in a pro. 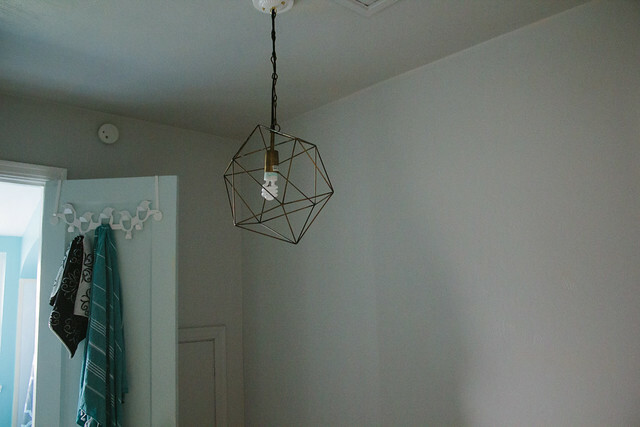 He did those and then moved onto replacing 2 of my light fixtures. I had posted about them before but I am soooo happy to have them up! I actually have no before pictures since I never thought to take a picture of an ugly light until he was here and working on them, but I did snap a picture of one before I threw it away. I am not as in love with it as I thought I’d be, I think it might be a bit too low. He originally had it twice as low, like nearly touching the banister. I think the hallway just might be too empty and once I get some art up or something it will look better. He also put a motion sensor/flood light off the back of the house but I got distracted by bunnies when I was trying to take a picture and forgot. It’s nothing special to look at but it’s pretty great to be able to see back there. Hooray! My home improvement stuff has to be on hold until the wedding is over, but then I’ll have a solid month until my summer class starts to get some stuff done and I’ve got big plans. 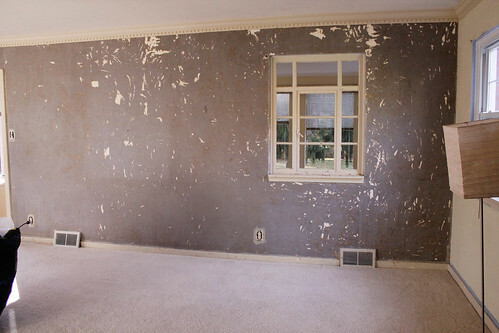 You’re on notice, wallpaper/fish glass/off-white everything. A few weeks ago, the fluorescent lightin the laundry room went out. Not a huge deal as I don’t do much night time laundry, but the laundry room also leads to the backyard and it’s where we let Daisy out. Having no light in there was pretty annoying even though the kitchen light does shine in there. We’d been putting off on changing it because it was annoying to get to, behind a plastic panel in a drop ceiling, no real convenient way to get it out, but by Saturday I had had enough. I pulled up a chair, climbed up and after a minute was able to pop the plastic out and then BOOM. A metal piece which was formerly attached to the light fell out, knicking my hand on the way down. I guess I’m lucky that it hit my finger with the edge and not my face (or my eye!) with the corner. Once I was able to get the tube down, I measured it and got 47″ and then I went to Lowe’s where they only had 48″ tubes, so I grabbed some and just hoped my measurements were off. Got home and turns out I just can’t measure because they fit, hooray! And now we have light again! And now I have two spent fluorescent tubes and no idea what to do with them. And some nasty slices on my finger (they look worse now than in the picture) and I hope my tetanus shot is up to date because my finger still hurts. 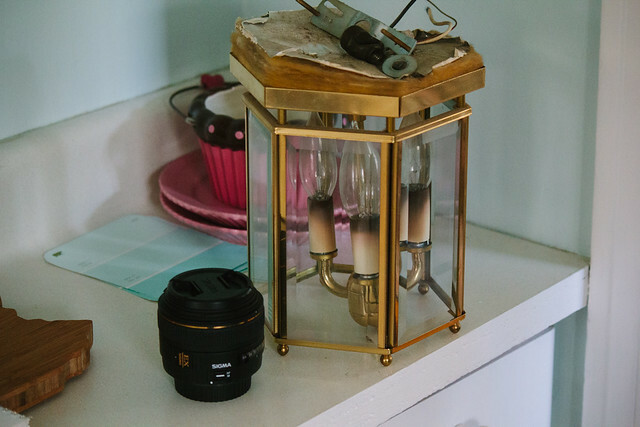 I also spent some time unpacking gifts from my bridal shower (finally!) and yikes! Our recyling man is going to hate us on Friday. I also broke in our new memory foam mattress topper and rice cooker and I am in love. Two weeks left of class and then I can get back to some real home improvement. Like painting! And hanging pictures! 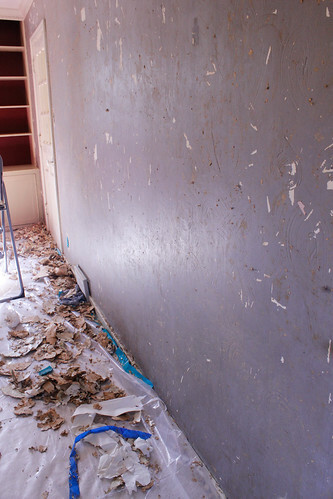 And peeling wallpaper! Can’t wait! 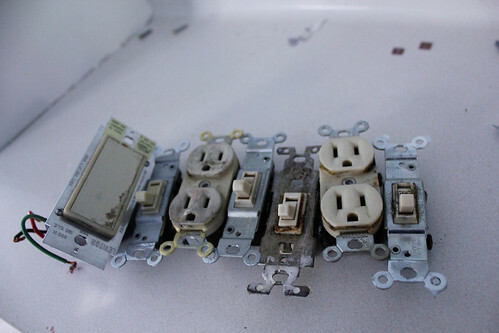 A few months back, my cousin came up to replace some outlets/switches for me. We were taking them from the dirty almond to fresh white. He got everything done but had some trouble with our hall/entry switches. He came back up over the weekend but just couldn’t get them to work so I have to hire someone. Not a huge deal, I found an Angie’s List coupon for 4 hours for the price of 2, so we tried to figure out what else we could have him do in 4 hours. Keith wants a spotlight installed off the back porch so we can see Daisy in the dark. 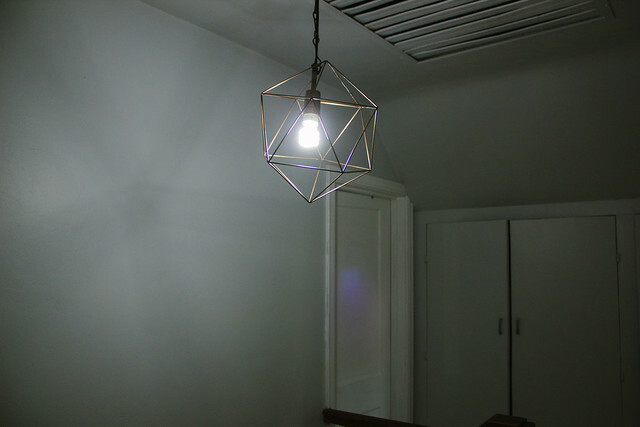 I want pretty new light fixtures. So I went shopping. 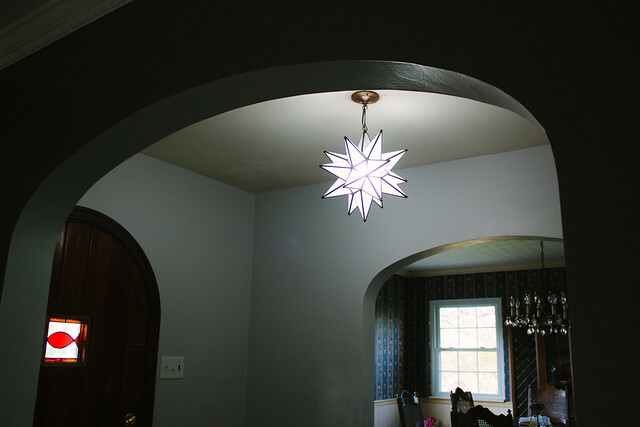 I’ve known forever that I want a moravian star somewhere, the entryway seems like the perfect place. I bought this guy from Direct from Mexico and I can’t waiiiiit to see it put up. Maybe that will motivate me to finally finish painting the trim in there. 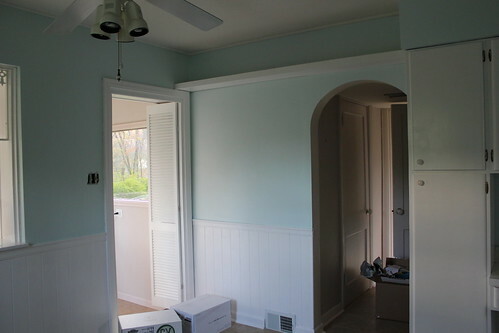 I spent a really long time trying to find something for the upstairs hallway. 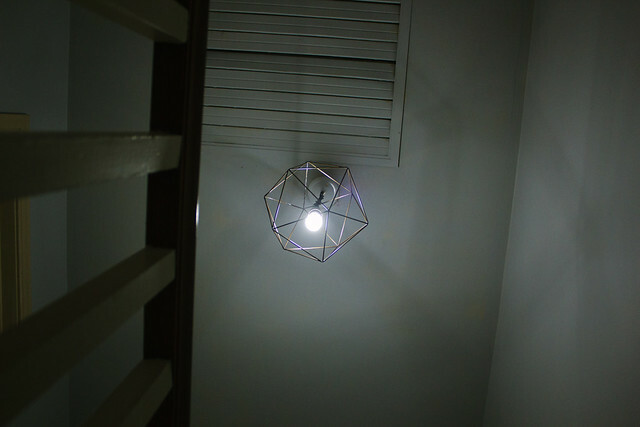 It hangs over the stairs so it can have some length but nothing was really calling to me. 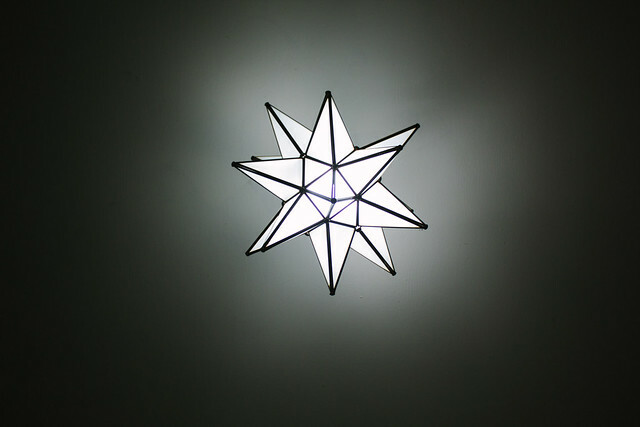 I kept going between light flowy sea-glass or capiz chandeleirs or bold geometric pendants. I really had no idea. there is literally nothing in the hall, so it’s not like I had some theme to work off of. I had 2-3 that I was going between but they were all more than I wanted to spend. I finally found a few from Urban Outfitters that were half the price of the others I was looking at. This one immediately caught my eye but I hemmed and hawed for a day or so before buying it. I really like it, it’s fun and I could probably reuse it somewhere else down the line if I decide I want something else up there. The next day I found one on World Market that I wish I would have seen previously, I think it would have been great for the upstairs hall. I am tempted to buy it for somewhere else but I don’t really have anywhere else to put it. Maybe above the kitchen sink, but I currently don’t have a light there so that will probably have to wait until I can do a full-kitchen makeover. One day. My urban light is on backorder, so I probably won’t get them up until mid-April. Trying to be patient until then! let there be light! and carpet! 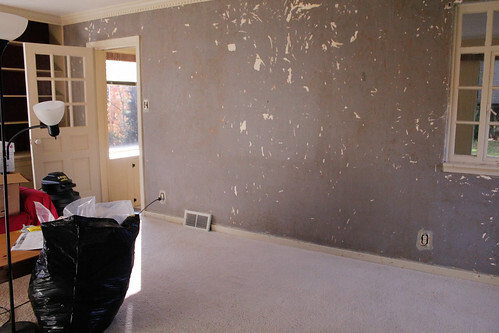 So this weekend I finally got around to cleaning up the wallpaper mess in the livingroom. At least the stuff on the floor. I went and got some cleaning supplies at Lowe’s and had planned to actually start scrubbing the wall, but I never got around to that. Even just picking up all the stuff off the floor makes the room look a million times better. 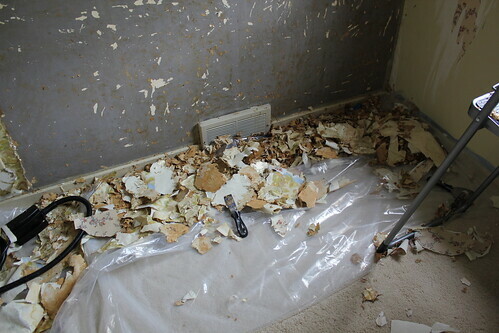 I would pick up the bulk of the wallpaper every once in a while, but it was still an eyesore with all the bits that would stick to the plastic sheeting. So I cleaned it all up. My goal was to clean off the plastic and keep it to reuse it, but that idea got scrapped real fast and it ended up in the trash. I figured I got 6 months use out of it, I could throw it away. 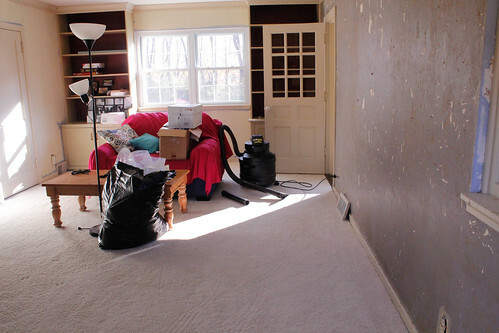 I actually can hardly notice how ugly the wall is now that the floor is so clean! This is what my kitchen looked like in April. 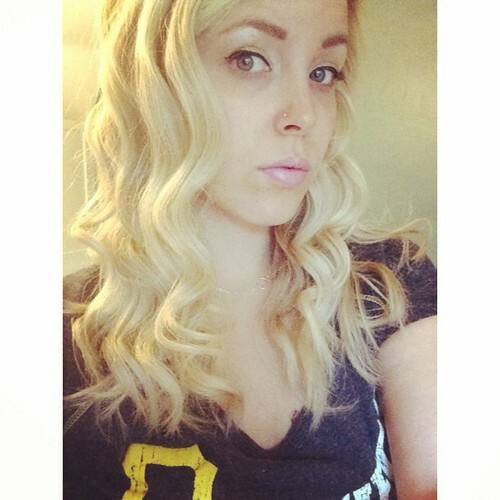 And yesterday. 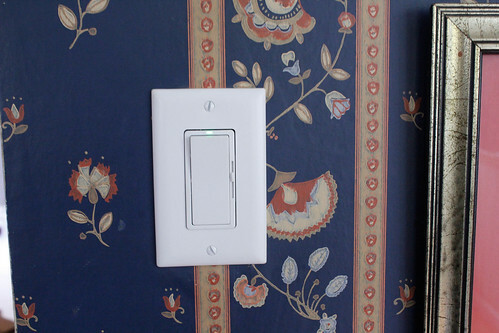 Since the switchplates were wallpapered over, I threw them away and bought new ones. 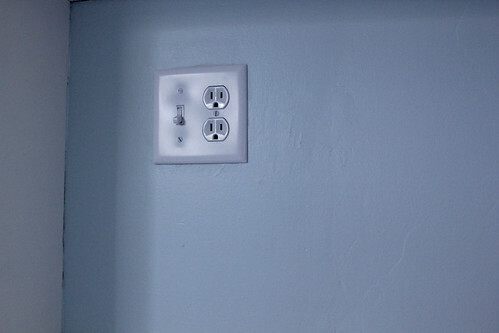 But, the lightswitches were almond, and dirty almond at that, so I refused to put the white plates over them since I figured they would never get changed. 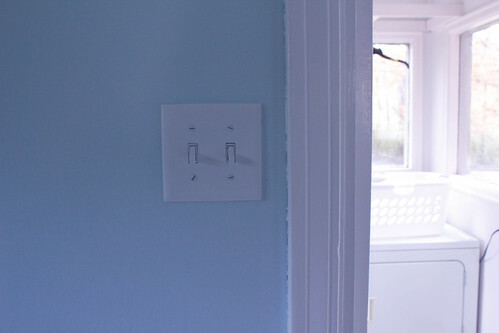 The switch on the far left was the dining room dimmer switch. Except the dimmer part never existed. I always felt like I was being mildly electrocuted when I touched that thing. 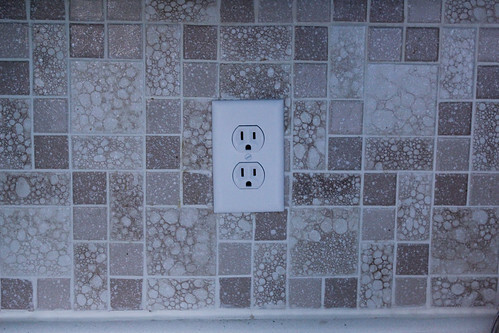 One of the outlets look like it was painted over and then re-dirtied. Such a mess. I enlisted Keith’s help for this one and though some were a little tricky, in maybe 30 minutes(?) we had them all done. And they are BEAUTIFUL. Here, look at my light switches. he looks a little crooked, but I DON’T CARE. someone (me) forgot to buy that kind of outlet, so he has to stay almond for now. 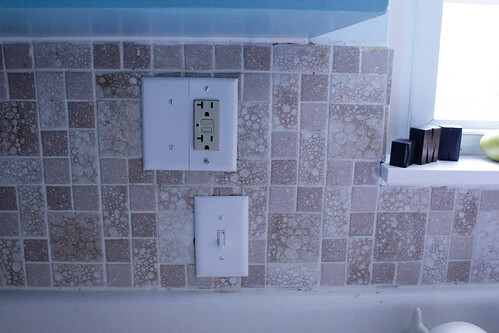 the bottom white screw was also too long due to the wonky hole in the tile, so I have to repaint that one white. So two very minor (<1 hour) projects that make so much of a difference! Hooray! We also spent some time discussing the pantry, I want two more shelves in there, which Keith will be installing for me. Then I’m painting it and I can finally organize it instead of just throwing everything haphazardly in there. And I can hopefully re-organize my kitchen cabinets when that happens because oh man do they need it. Probably the most boring post of the year, but it happens.